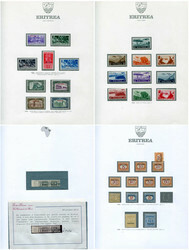 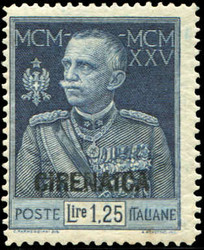 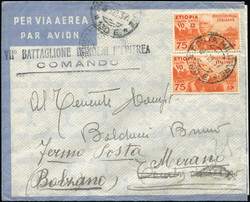 1937, airmail letter franked with two examples 75 C. Viktor Emanuel III with POSTA MILITARE datestamp sent to Meran. 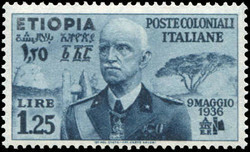 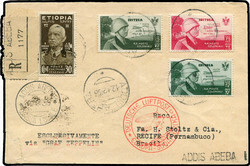 "VII BATTAGLIONE INDIGENI D'ERITREA - COMMANDO" on front. 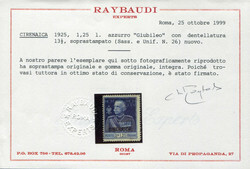 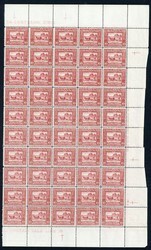 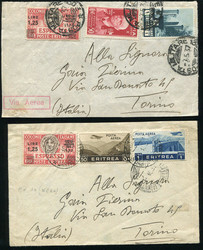 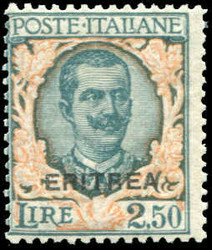 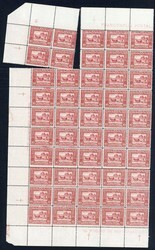 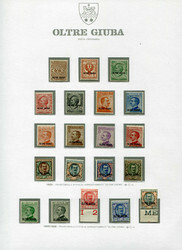 1937, two fronts with express stamp "Lire 1,25" on 60 C. each sent with POSTA MILITARE datestampt to Torino. 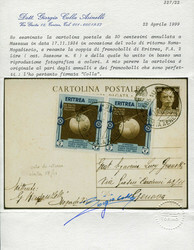 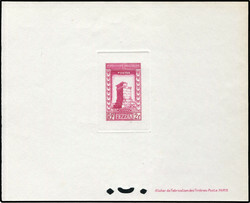 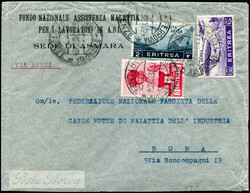 1938, airmail letter franked with 10 C., 1,50 and 2 L. 1936 issue sent to "FEDERAZIONE NAZIONALE FASCISTA ..." in Rome. 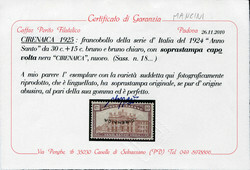 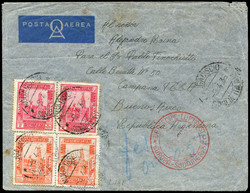 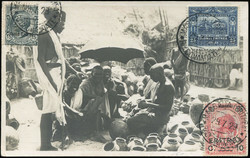 1934, 2 L. airmail stamp on italian stationery card with crowned cds MASSAUA POSTA AERA for return flight Mogadisco-Roma. 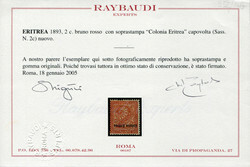 Excellent condition with Colla certificate. 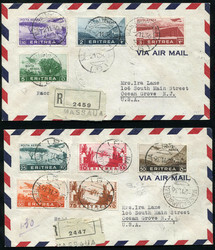 1936, airmail stamps complete without 1 L. with some additional franking on back on two registered collector´s letters from MASSAUA to USA. 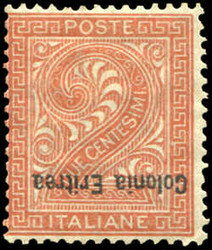 Fine condition with some small stains on reverse. 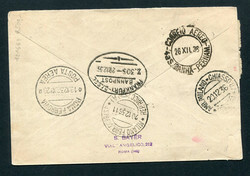 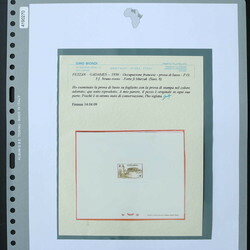 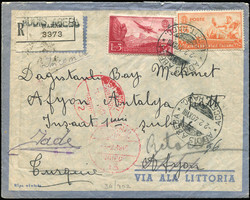 1940, registered airmail letter franked with 3 L. airmail and 1,75 L. sent from ADDIS ABEBA to Afyon, Turkey, there undeliverable and returned with six postmarks on back. 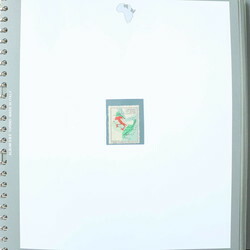 Part of backflap missing. 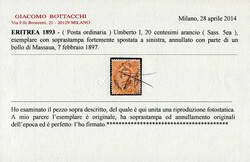 1929, interesting ppc showing "MOGADISCO - Mercato dei Tungi" with better franking on front sent from "MASSAUA RICOMMANDATA 2 to Belgium. 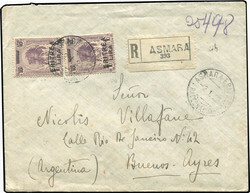 1923, registered cover from ASMARA to Buenos Ayres, Argentina, franked with 2 pies 1 Lira on 10 A. lion´s head. 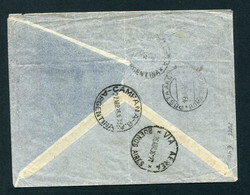 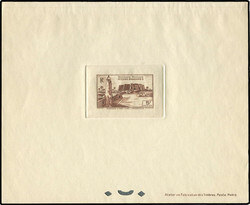 Naples and Buenos Aires transit and arrival marks on reverse. 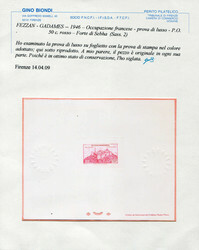 Rare destination and better franking. 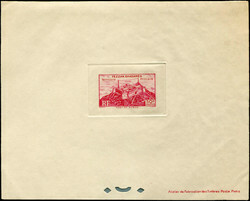 Fine to very fine with small corner tear on the envelope. 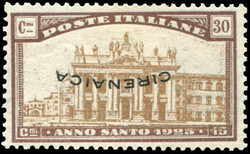 1914, italian 10 Cent. 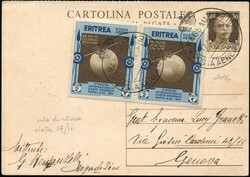 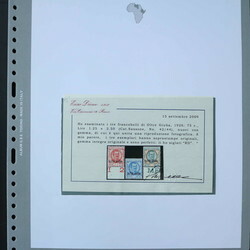 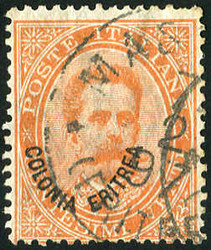 postal stationery card with "COLONIA ERITREA" imprint, sent from MASSANA (Eritrea) 7 10 14 to Hamburg, Germany. 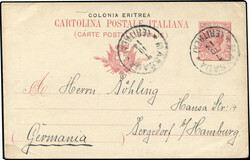 This card has been sent from a crew member of a German steamer interned there.